Earners of the Logical Operations Certified Virtualization Professional (CVP) Level 2 badge are experienced VMware® practitioners capable of administering, managing, and securing virtual environments; provisioning and monitoring virtual infrastructure; and working with Fibre/iSCSI SAN volumes and NAS datastores. Possess at least two years of experience as an intermediate or senior level vSphere 6.0 Administrator. 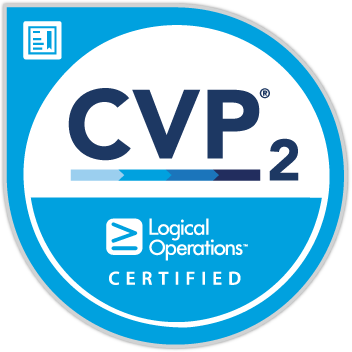 PASS the latest version of the Logical Operations Certified Virtualization Professional (CVP) Level 2 exam. Recommend that you complete the latest version of the VMware vSphere 6.0 with ESXi and vCenter course or the VMware vSphere 6.0 with ESXi and vCenter Boot Camp.